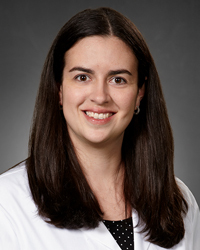 Caitlin Harris, DO is a hospitalist; a board-certified Internal Medicine physician specially trained in the care of patients who are hospitalized. A hospitalist works together with your primary care physician to provide you the highest level of care while you are in the hospital. During your stay you may meet one or more of our Kettering Physician Network Hospital Medicine Team as they provide you with exceptional, around the clock specialized care.